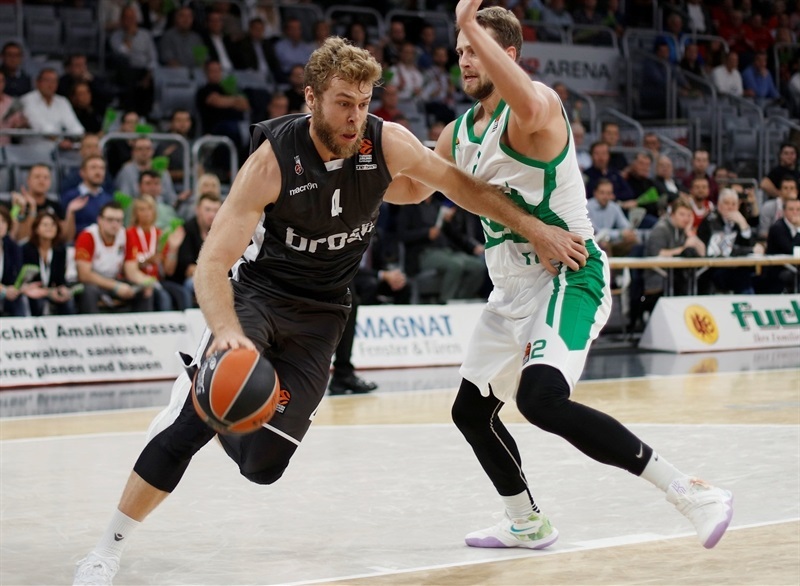 Brose Bamberg outlasted Unics Kazan 89-86 on Thursday at Brose Arena for its maiden win of the season. Unics suffered its second loss in as many games. 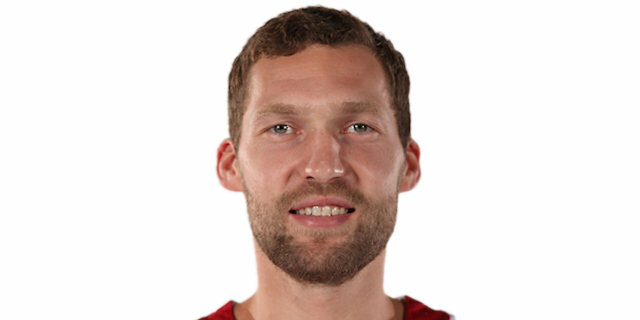 Janis Strelnieks shined with 17 points for the winners, including the go-ahead three in the final minute. 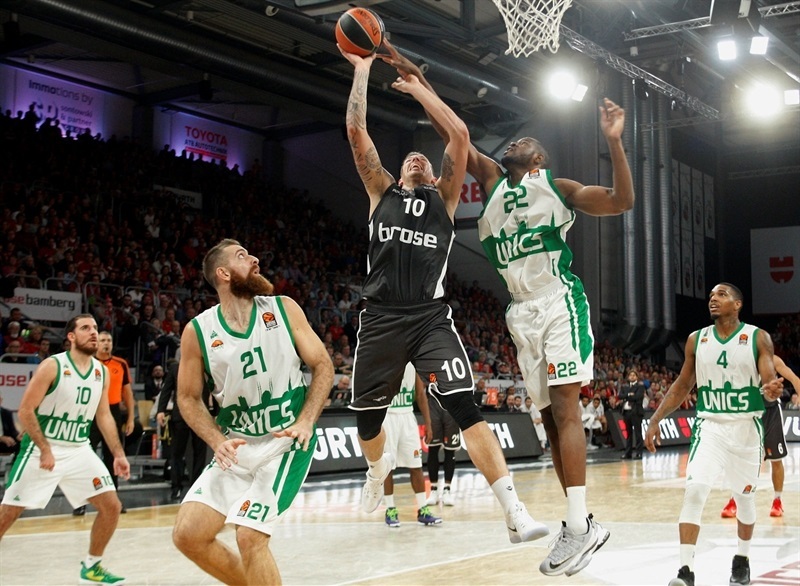 Nikos Zisis scored 16 points and sent 12 assists, Nicolo Melli and Darius Miller added 15 points apiece. The German champs made 22 of 23 free throws in an impressive shooting effort led by Melli, who was perfect on 7 tries. 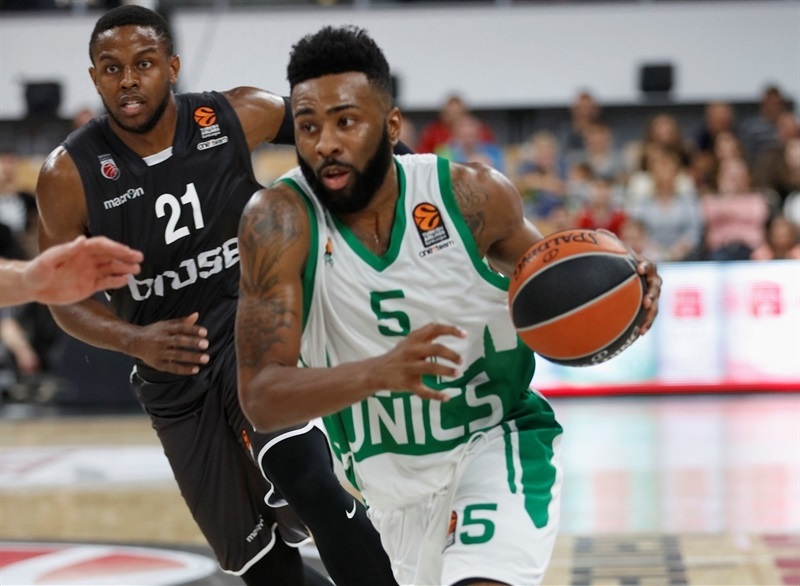 For Unics , Keith Langford led the way with 24 points, Coty Clarke added 20 plus 7 rebounds, Quino Colom scored 15, Artsiom Parakhouski 11 and Anton Ponkrashov had 7 assists in defeat. 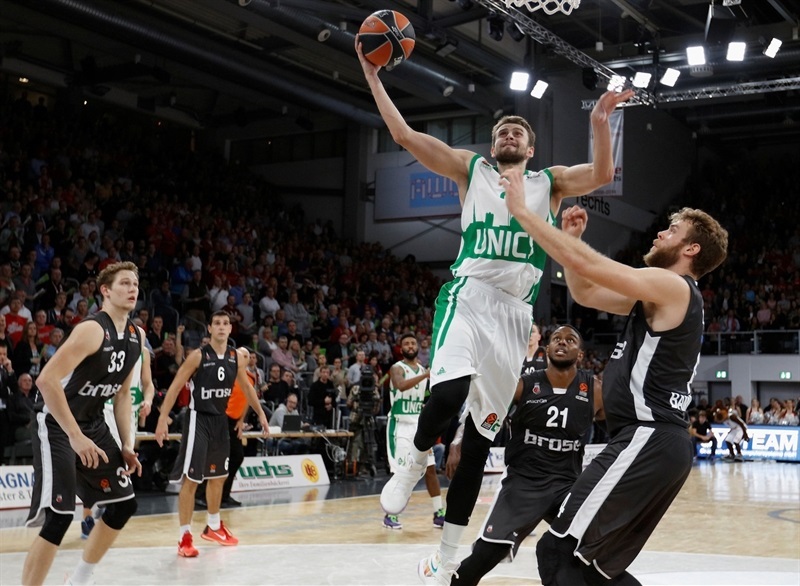 Unics fell despite outpacing their opponents in rebounding (37 to 26). 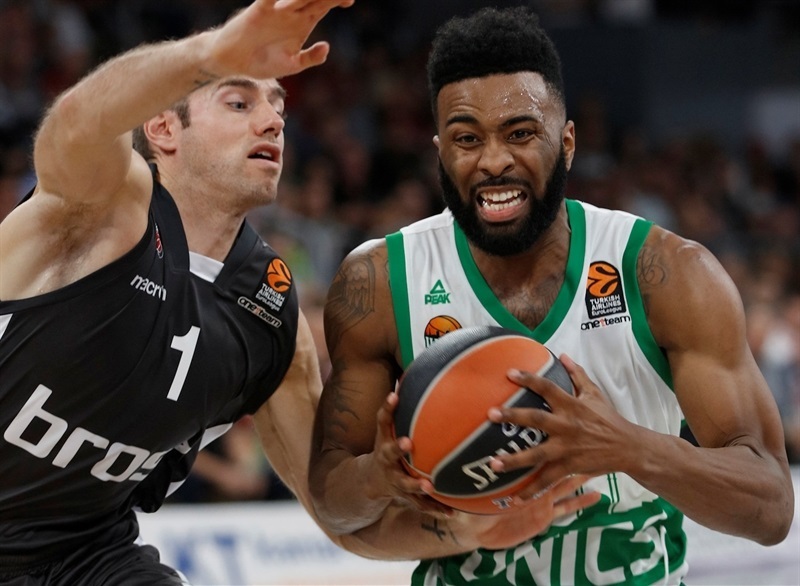 Bamberg faces Panathinaikos Superfoods Athens in its next EuroLeague game, while Unics plays Darussafaka Dogus Istanbul. The teams traded blows early on. 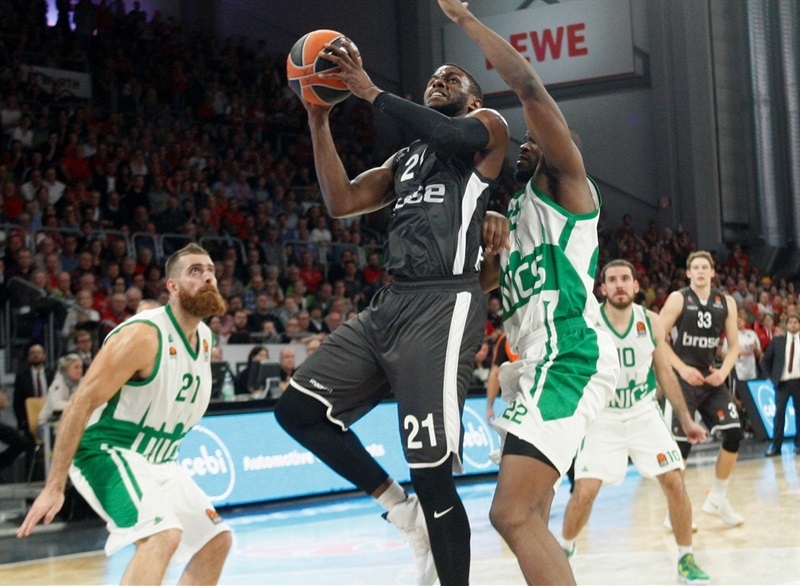 A triple from Zisis gave Bamberg its first lead, 9-7, but Unics went back ahead with 8 free throws without a miss from Colom and Clarke. However, a three-point play from Daniel Theis and a three-pointer from Lucca Staiger gave the hosts a 19-17 edge after 10 minutes. Unics pulled away at the start of the second quarter behind Clarke, who scored 7 quick points, including a triple that sparked a run that got the visitors to 25-34. 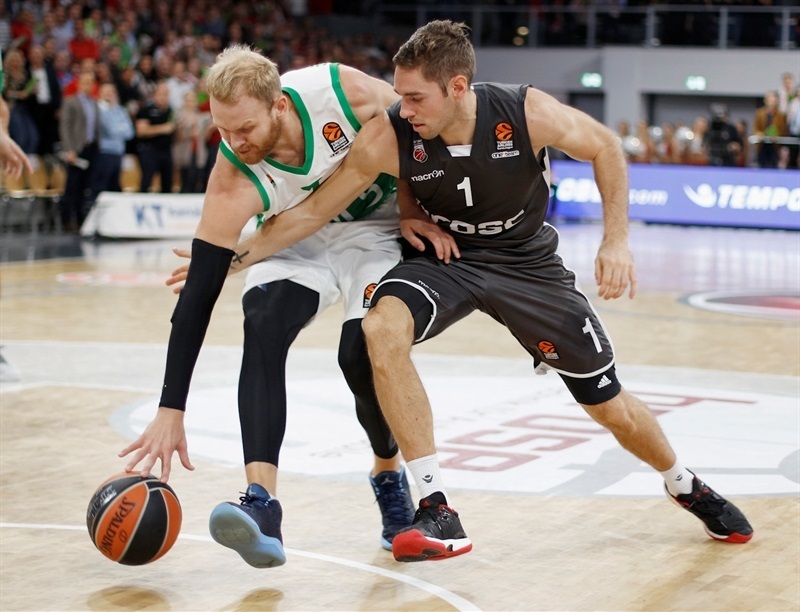 Bamberg’s offense picked up its rhythm, too, and back-to-back three-point plays from Strelnieks and Melli got Bamberg within a single point, before Unics went into halftime up 41-44. The visitors pulled away again at the start of the third behind Langford and Parakhouski, and the margin reached double digits on Clarke’s triple, 45-55. The advantage soon reached 12 points, but the hosts did not intend to go away. 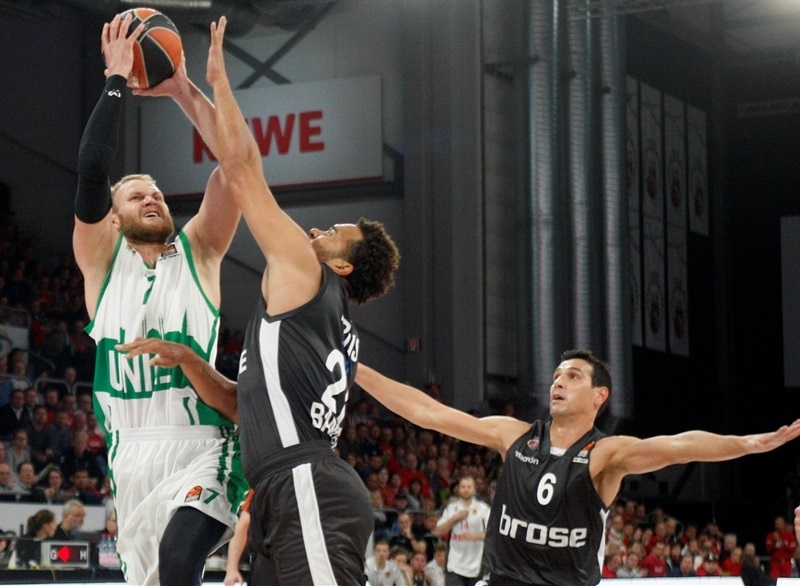 Unics went into the final stanza up 60-67, but Bamberg continued to melt the deficit. Miller, Zisis and Strelnieks combined to score 17 points for the hosts. 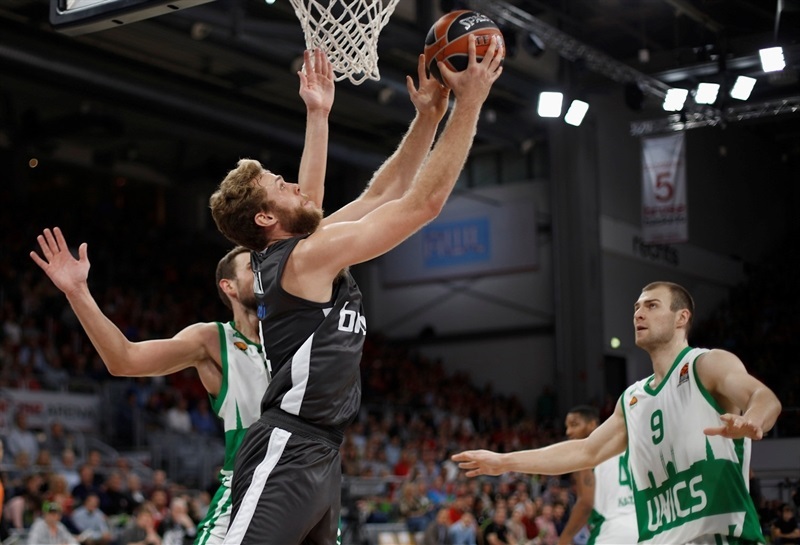 During that stretch, a wide-open transition corner-triple from Strelnieks put the hosts back in front, 75-74, and a driving layup from Zisis made it 86-82, and Bamberg sealed the win from the free throw line in the final minute. "We played terrible, the whole team was not at the usual level. We felt the pressure, and this is a mistake. At the end we tried just to play with energy and intensity. We did not play with nice reads, nice basketball. Does not look good, but this win tastes fantastic." "I think we started the game pretty good. We prepared well, played good defense. We controlled the game and offensively shared the ball. Everybody was inside the game. We led all three quarters, guys gave effort. 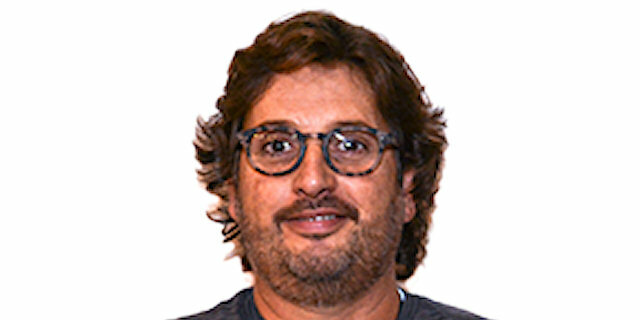 But when they went small, with four guards and Melli as five, we started having problems. We were not able to stop three-point shots on pop-up situations. When we tried to switch, we allowed too many drives. This is second game we were not able to play good defense in the fourth quarter and in the last five minutes. Allowed too many layups, and had too many mental mistakes. We also missed a couple of wide-open three-point shots. At this level, if you miss, others score and finish. We have to work harder and prepare for the next game, and be strong." "Thanks to the fans for the atmosphere. They supported us, even when we were down by 12 points they kept believing in us and we did not give up. That was the most important thing .We tried to stay calm and patient and we did it. This is our first win, it is really important. Pressure is on the side now. We did a good job."